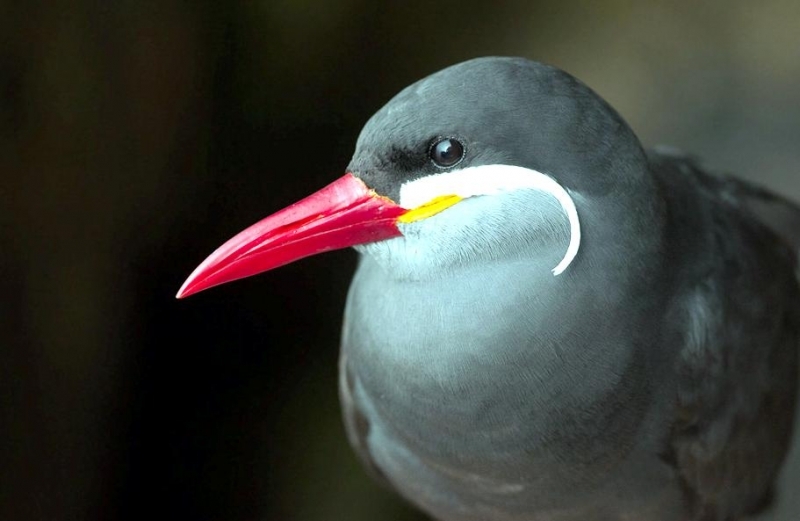 The Inca Tern is a superb & unique seabird with very peculiar plumage and head pattern, so different from other seabirds. 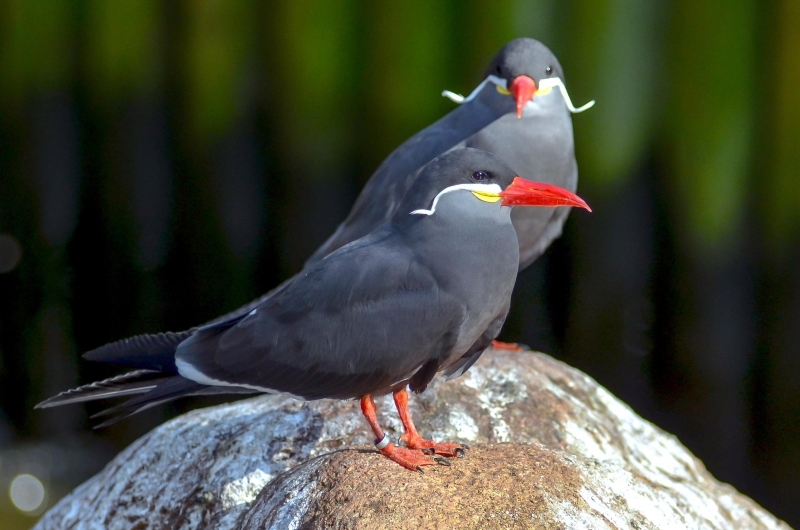 Due to these differences, the Inca Tern is the only member of the genus “Larosterna”. 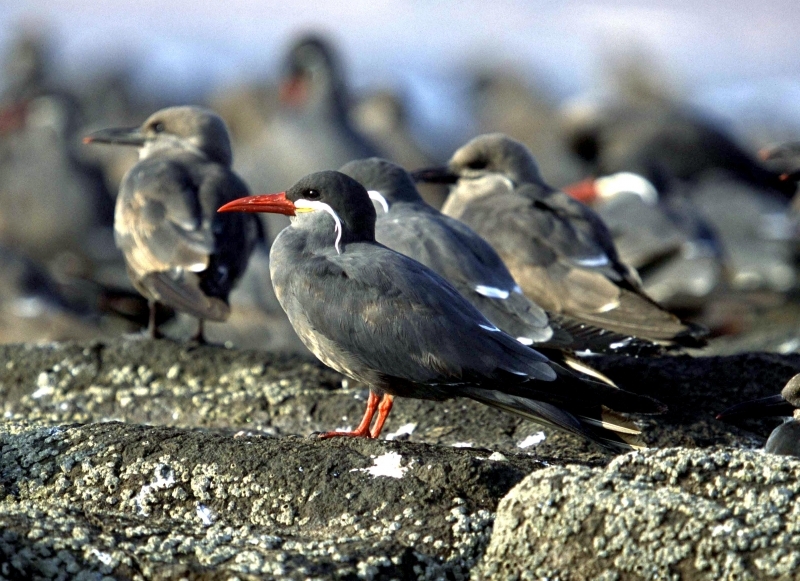 Inca Terns nest along the west coast of South America from northern Peru to central Chile (roughly the extent of the ancient Inca Empire that gives the species its common name). 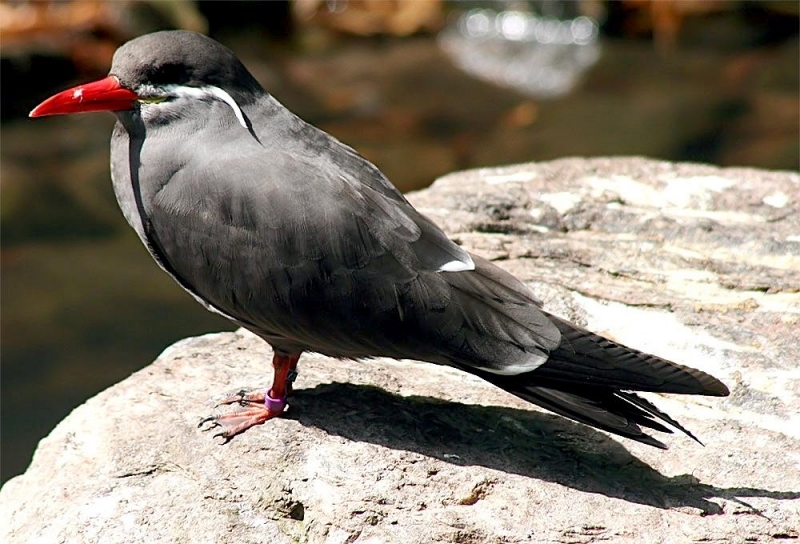 Adult has dark slate-gray plumage overall. 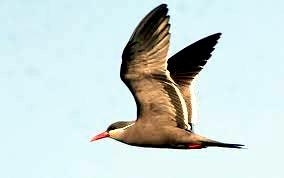 The rounded, narrow wings show darker flight feathers and paler gray under-wing coverts with the trailing edge in white. 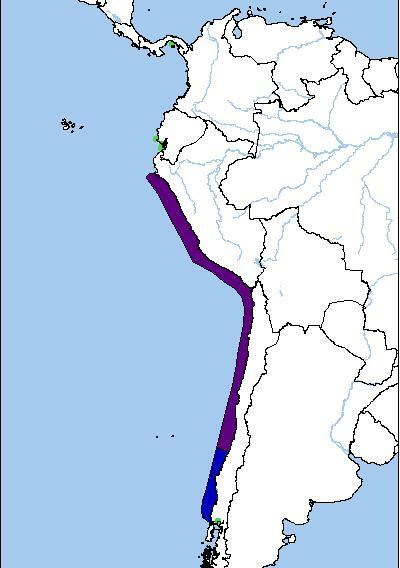 The outer primaries are edged white. 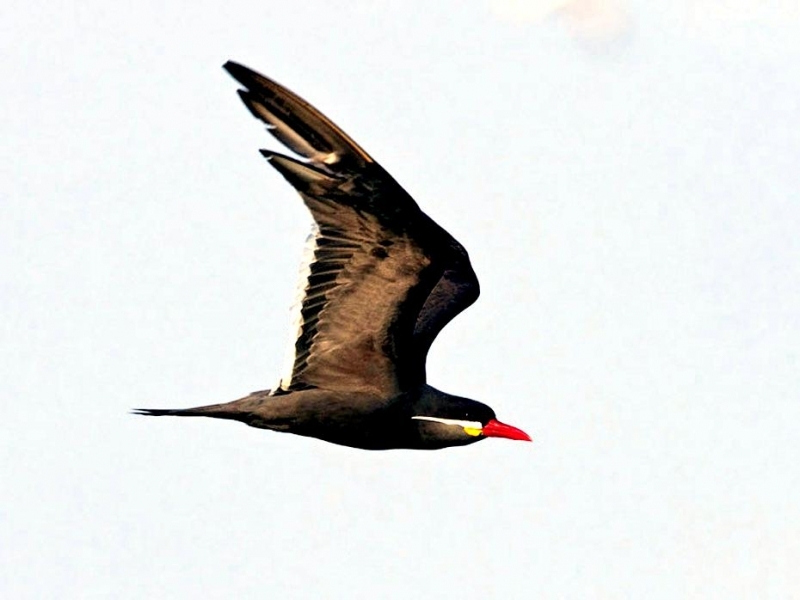 The inner primaries & secondaries are tipped white. 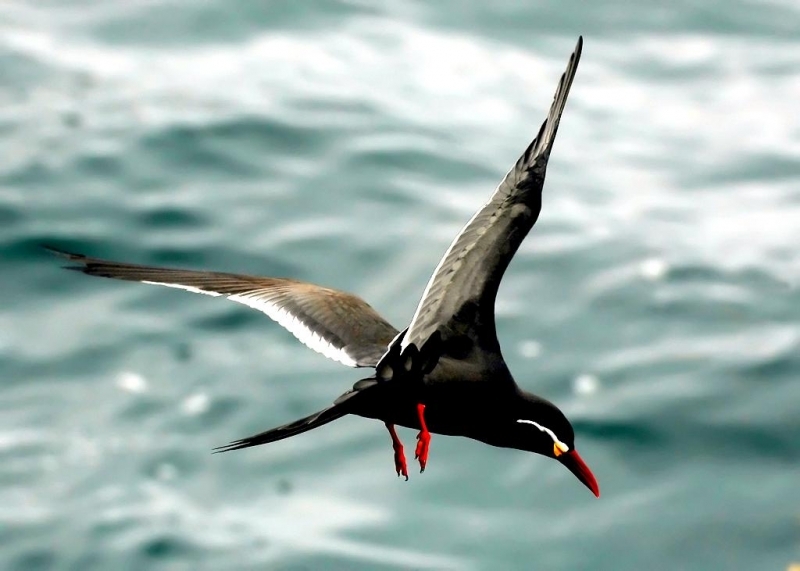 The tail is slightly forked & darker than the body. 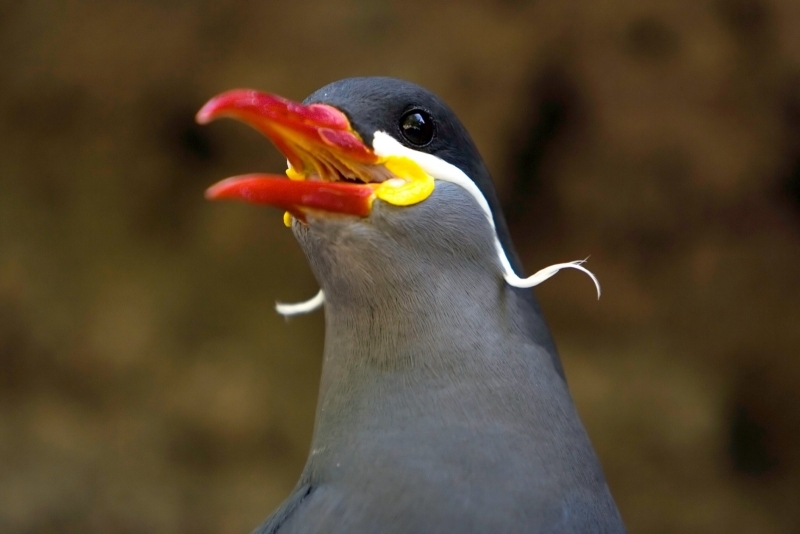 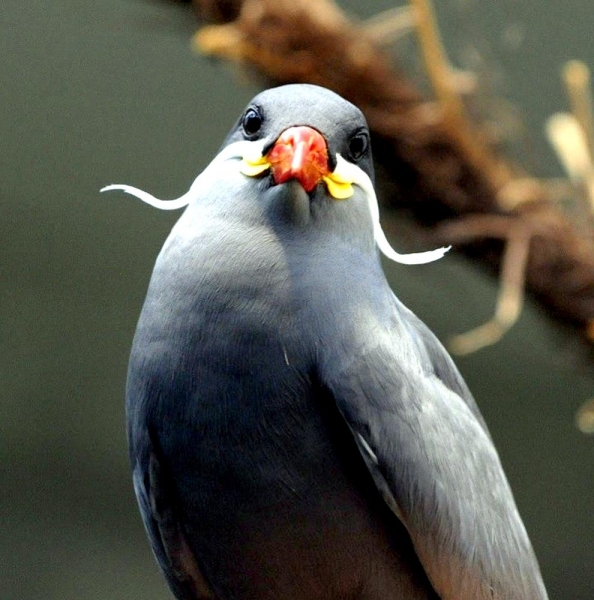 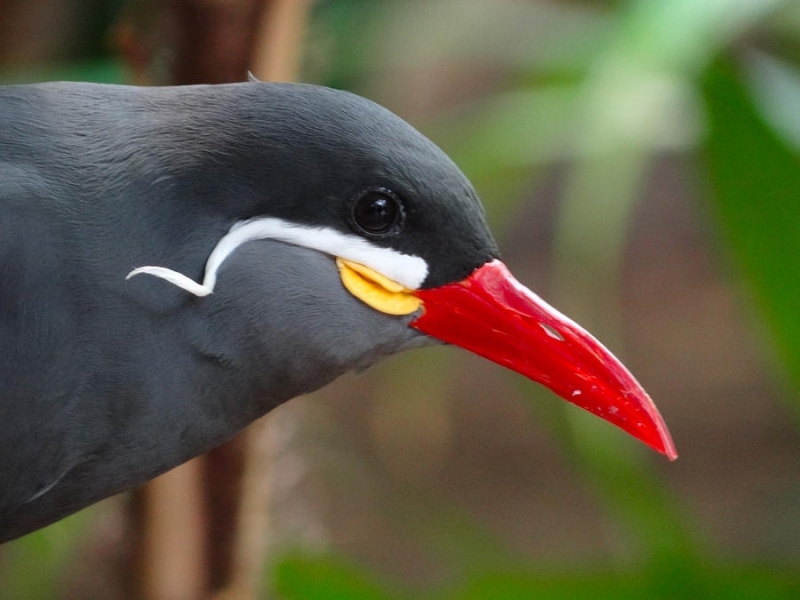 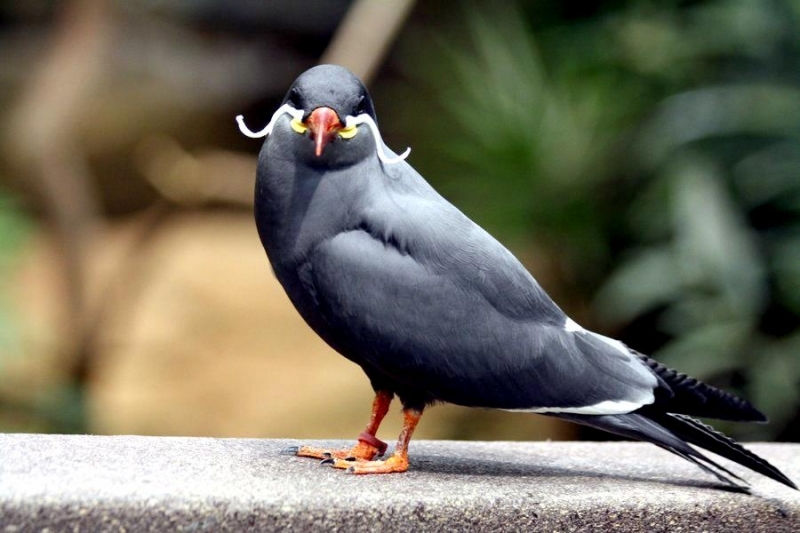 The head of an Inca Tern is superb and strange. 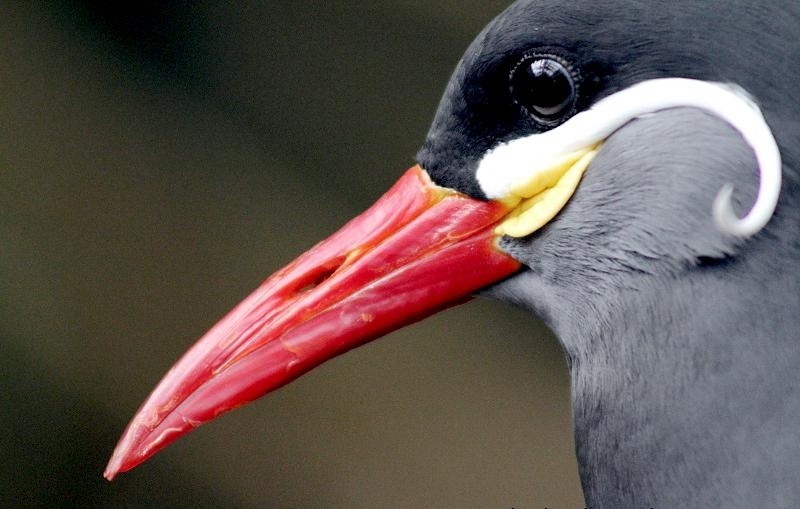 Forehead, crown and nape are dark slate-gray. 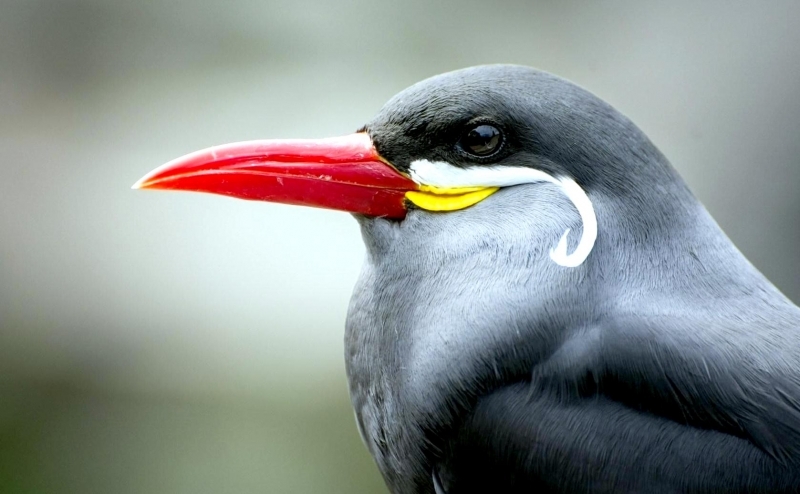 Starting at the bill base, a white stripe curls back below the eye and extends downwards to the neck side. 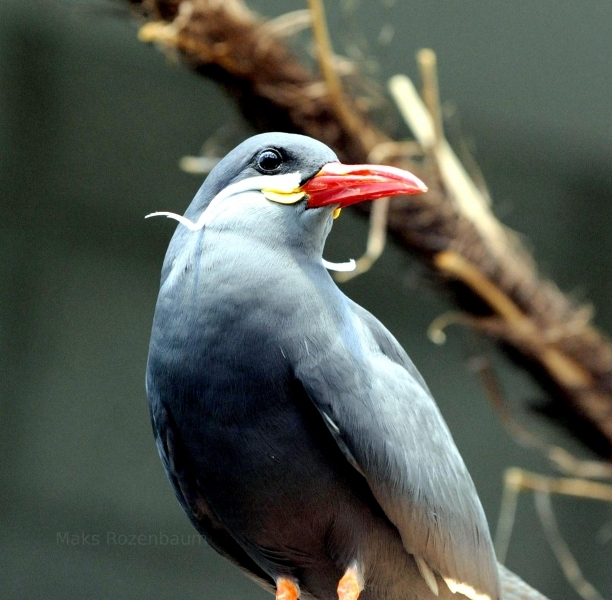 The tip is made with long fine feathers which fan out on each side of the head. 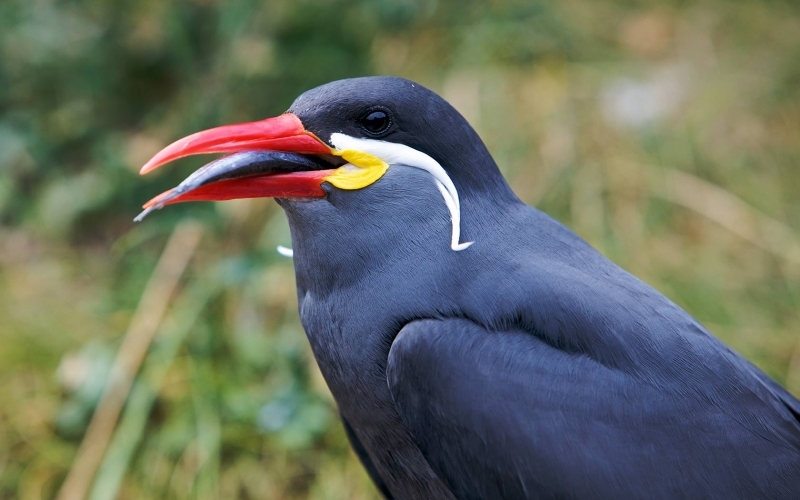 Below this white stripe, can be seen yellow bare skin forming mouth-shaped wattles at the bill base. 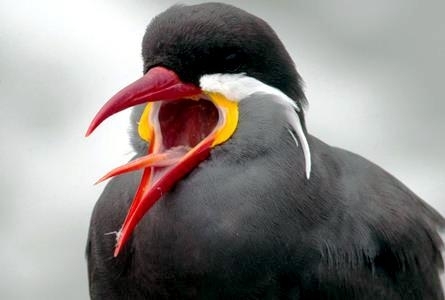 The throat and the area below the wattles is pale gray. The strong, long bill is deep red. 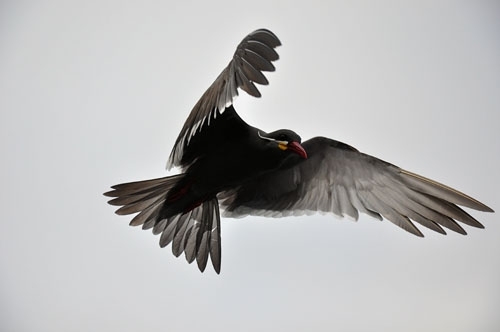 Eyes are dark brown and the legs & webbed feet are dark red. 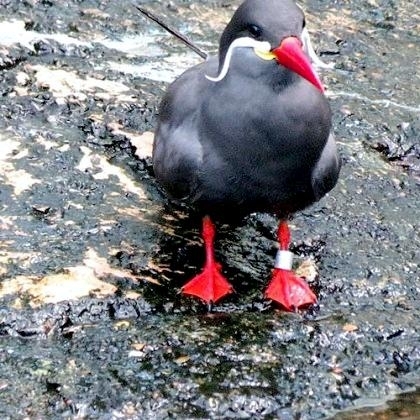 Juvenile has blackish plumage, bill and legs. 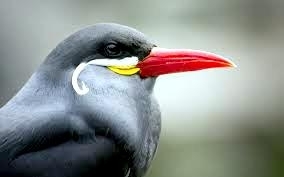 We can see small gray tufts at bill base. 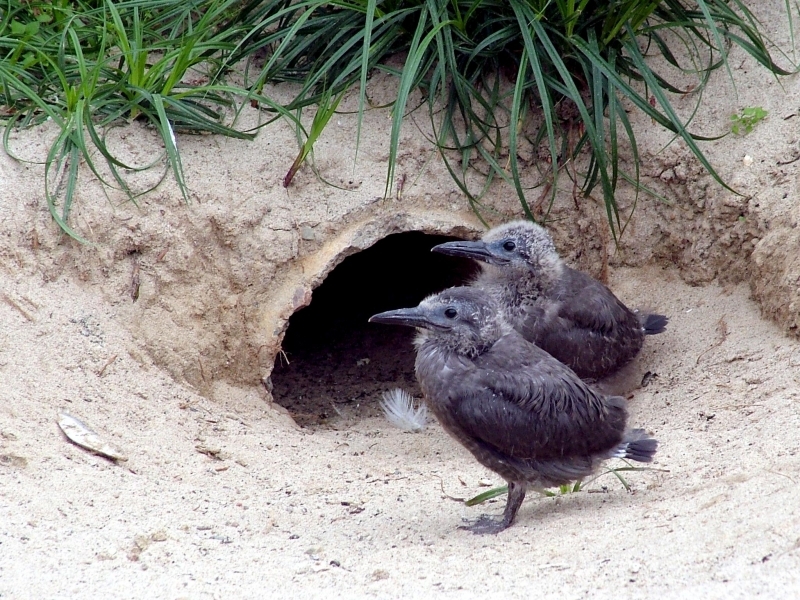 Sub-adults are browner. 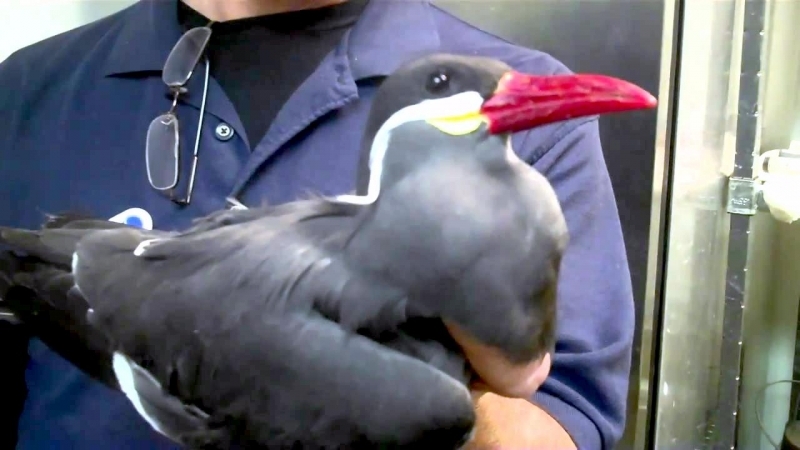 The bill turns dark horn-colored and becomes redder little by little. 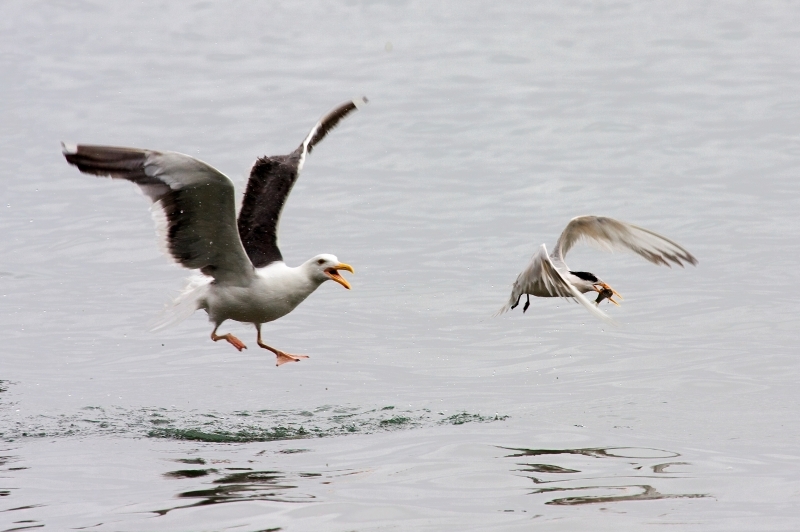 It shows some dull brown curling feathers at gape. 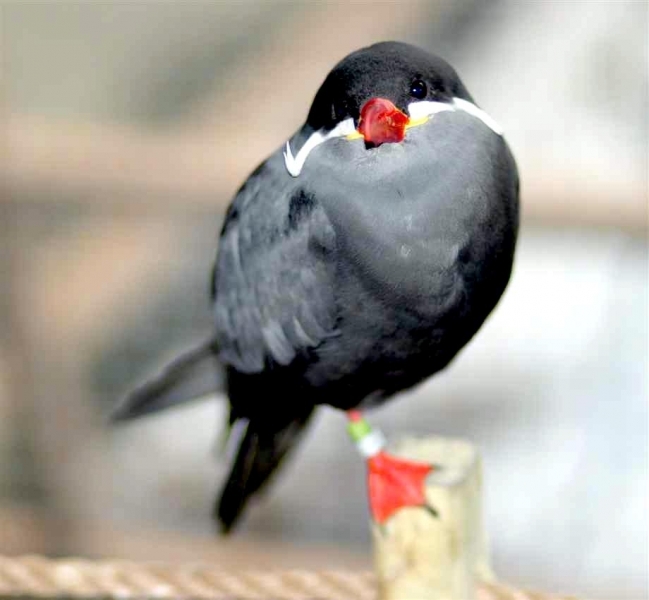 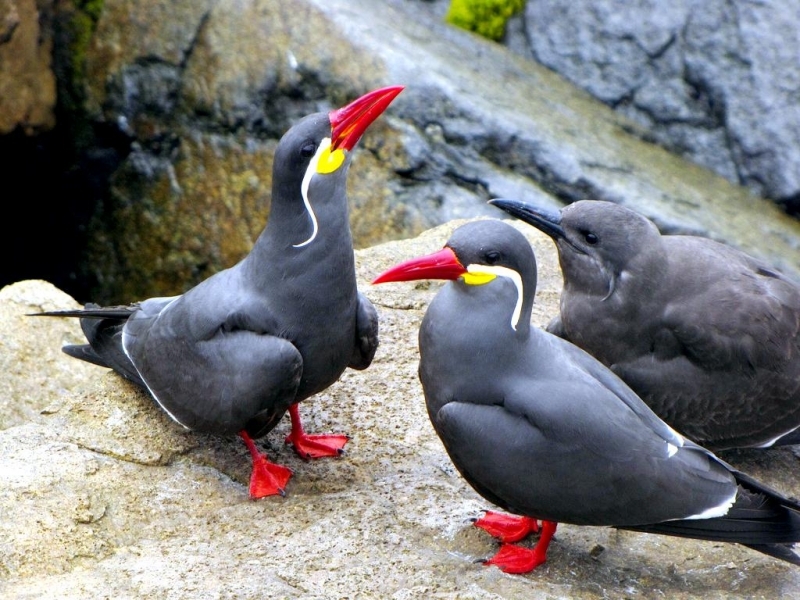 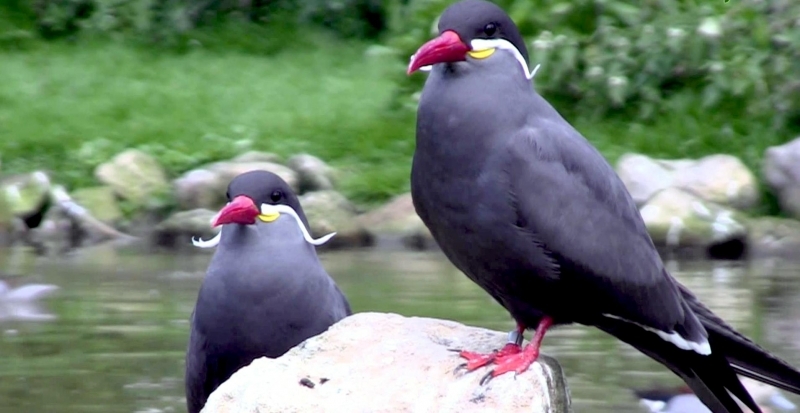 The Inca Tern utters cat-like mewing sounds. 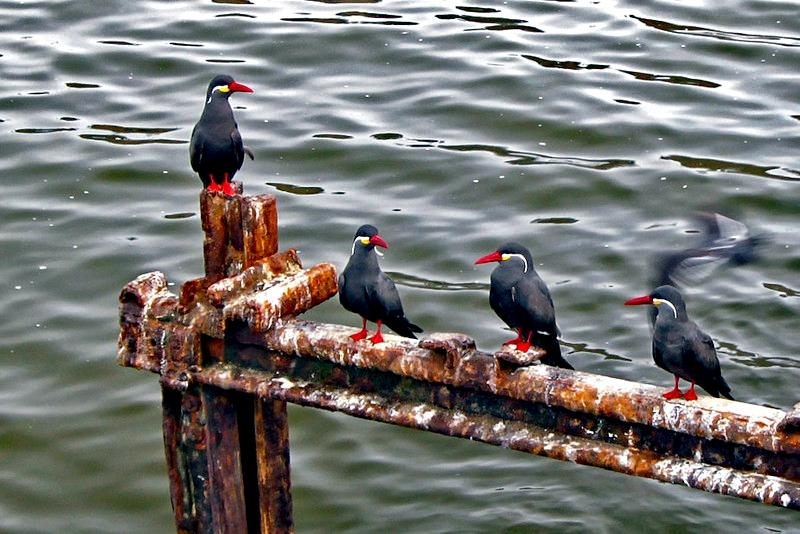 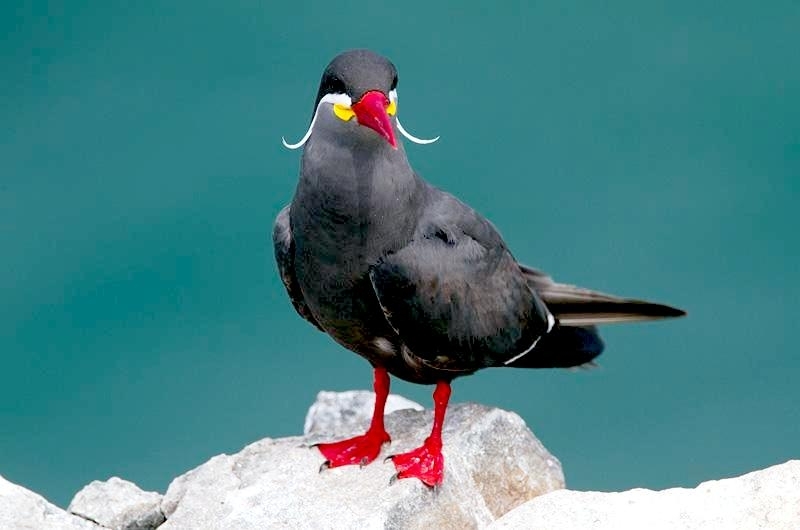 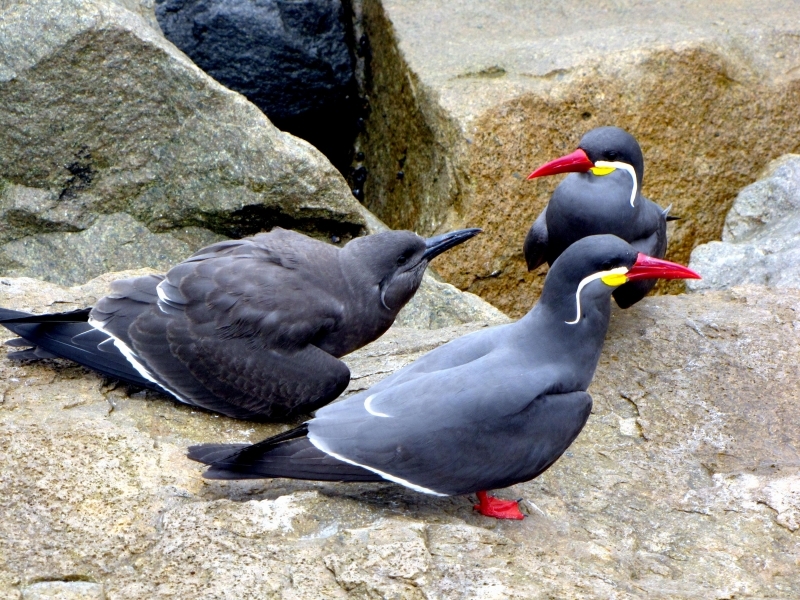 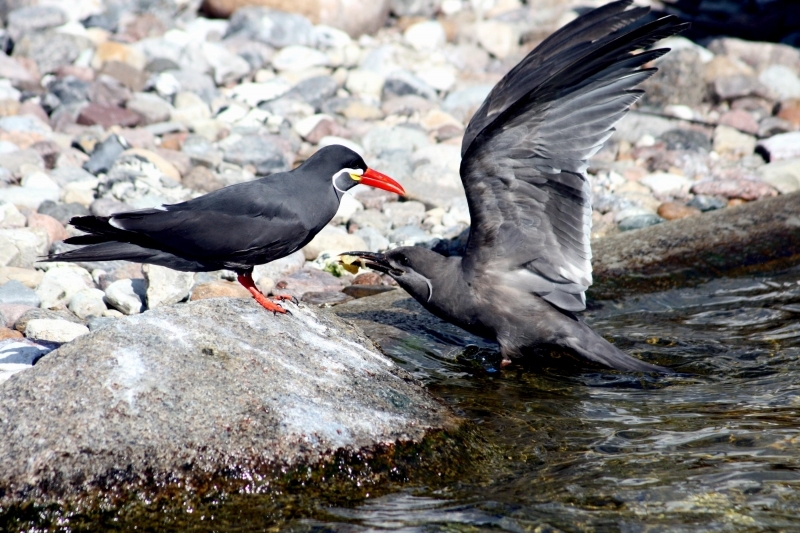 Inca Tern breeds on the coasts with rocky cliffs and sandy beaches. 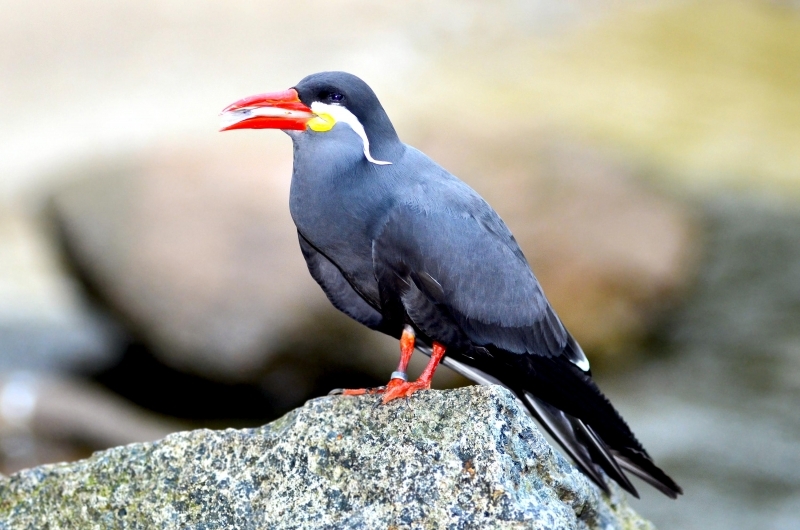 It may frequent as well inshore guano islands as offshore islands along the rocky coasts. 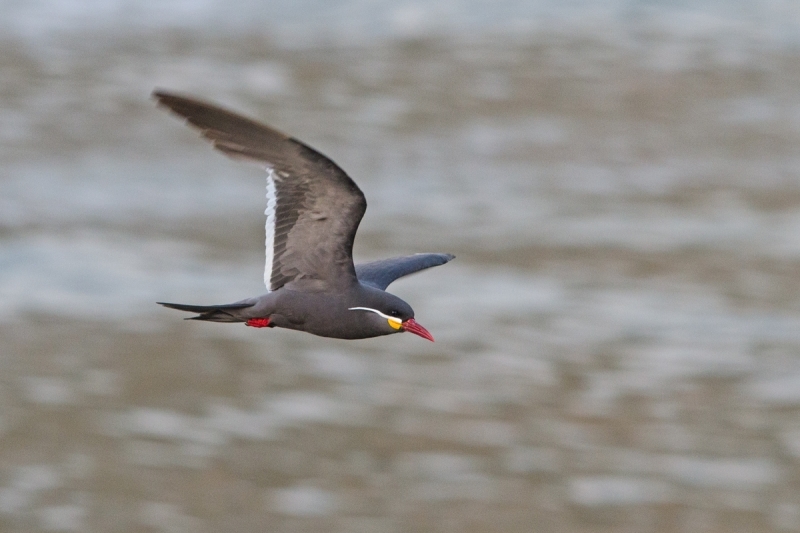 Inca Terns are found on the west coast of South America, from Ecuador and Peru to Chile. 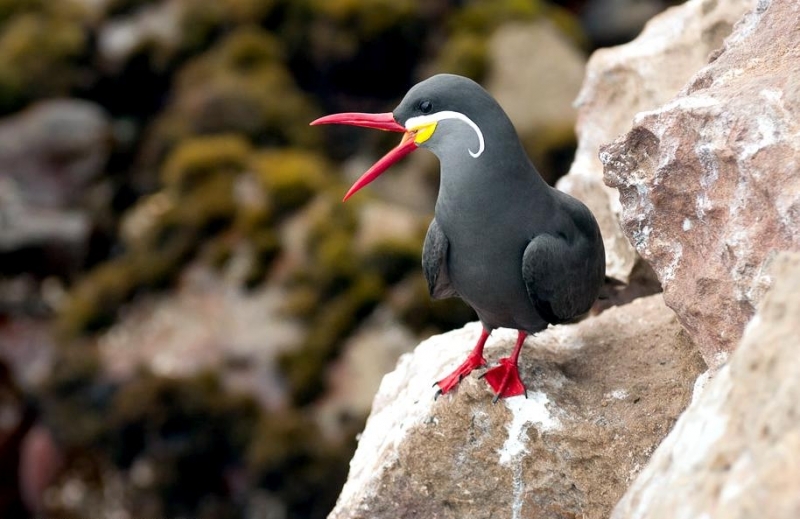 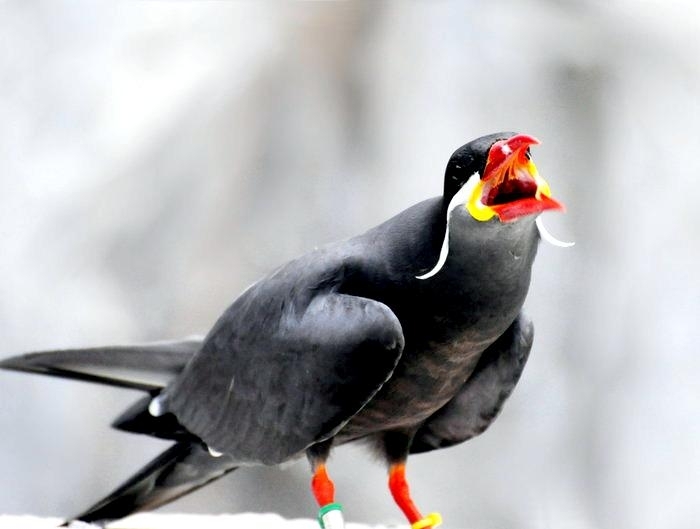 This bird is endemic to the Humboldt Current area. 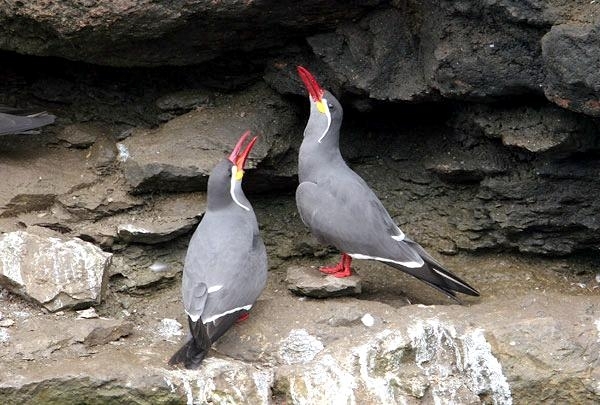 The Inca Tern is gregarious, living and nesting in huge colonies of several thousands of birds, often close to the assorted gull colonies. 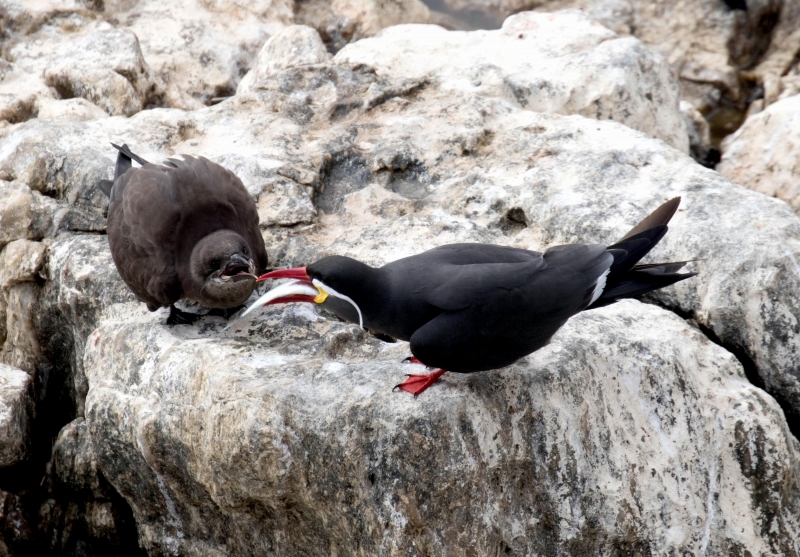 They feed on many kinds of marine animals such as fish & crustaceans. 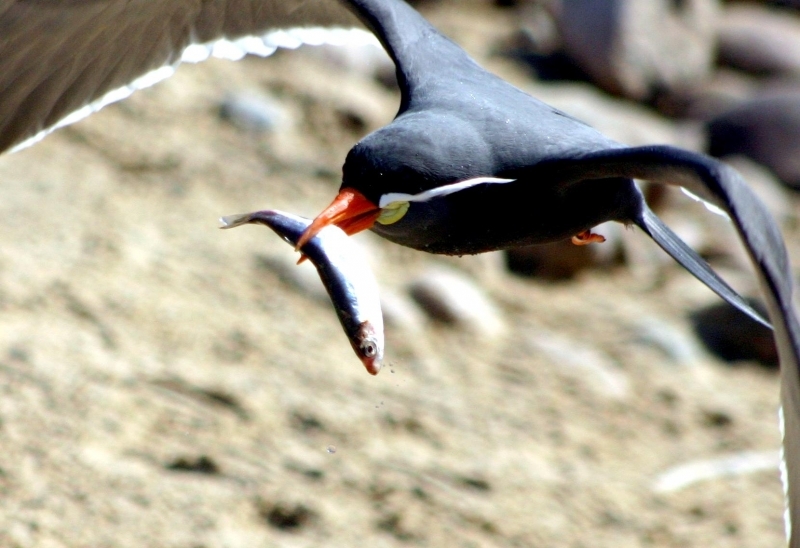 They also take offal. 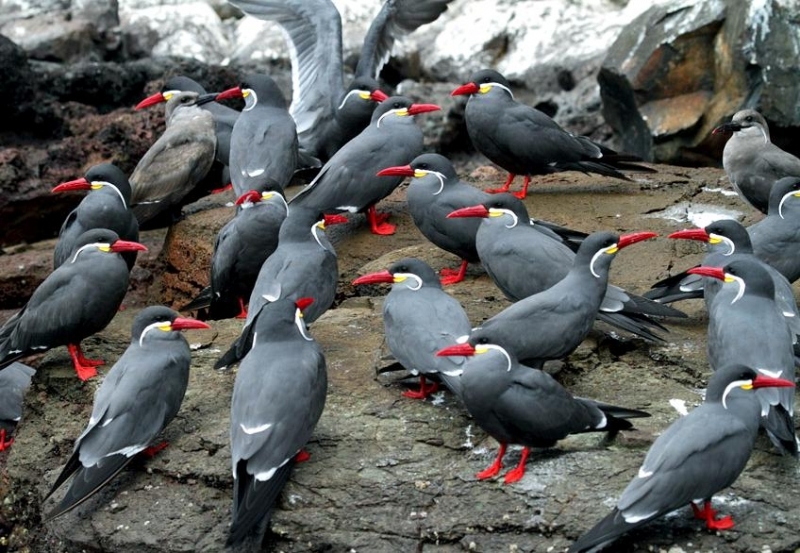 Inca Terns follow the fishing boats and are often associated with Southern Sea Lions and various cetaceans when feeding, stealing some food from the marine mammals. 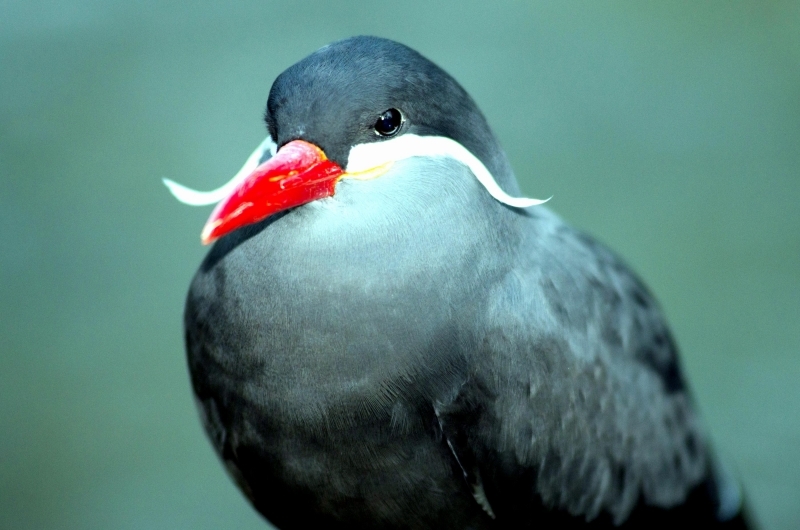 This tern feeds by plunge-diving from the air, after brief flight above the prey and also by surface-dipping. 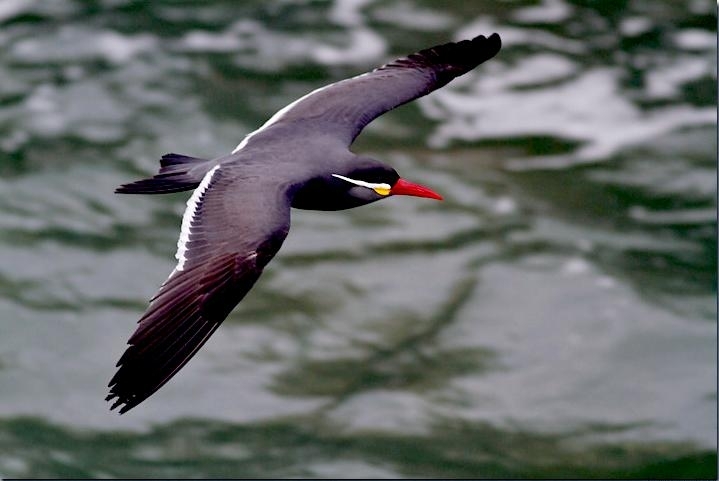 The Inca Tern swims or sits on the water and picks-up the preys from the surface. 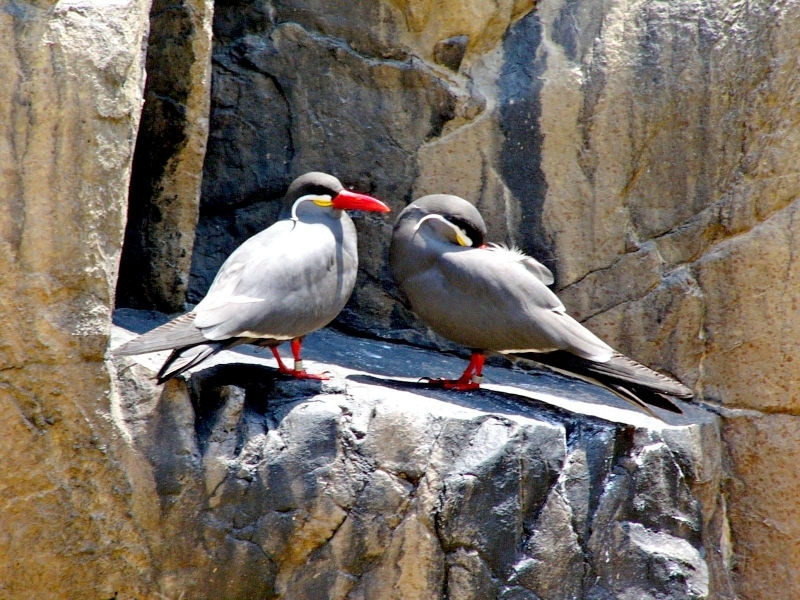 Inca Terns perform courtship displays. 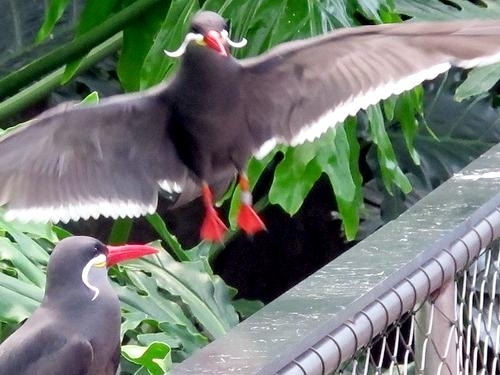 The male engages an agile flight display in order to impress the female. 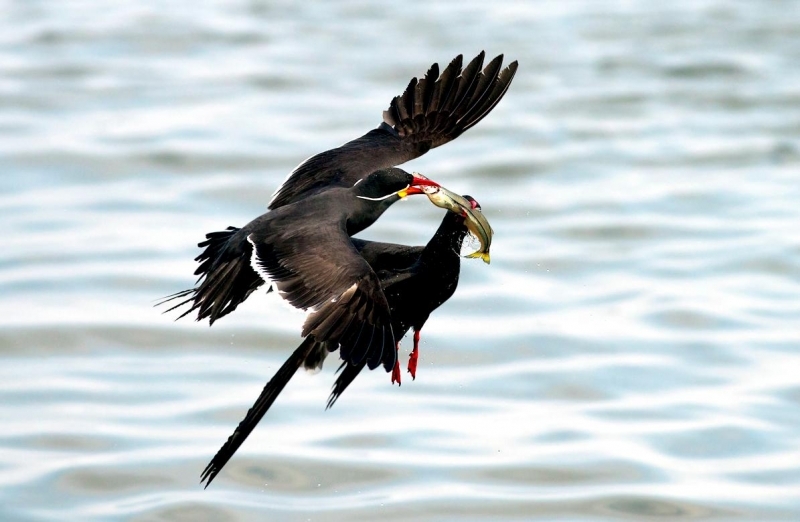 It also performs courtship feeding while pursuing the female in the air with a fish in the bill. 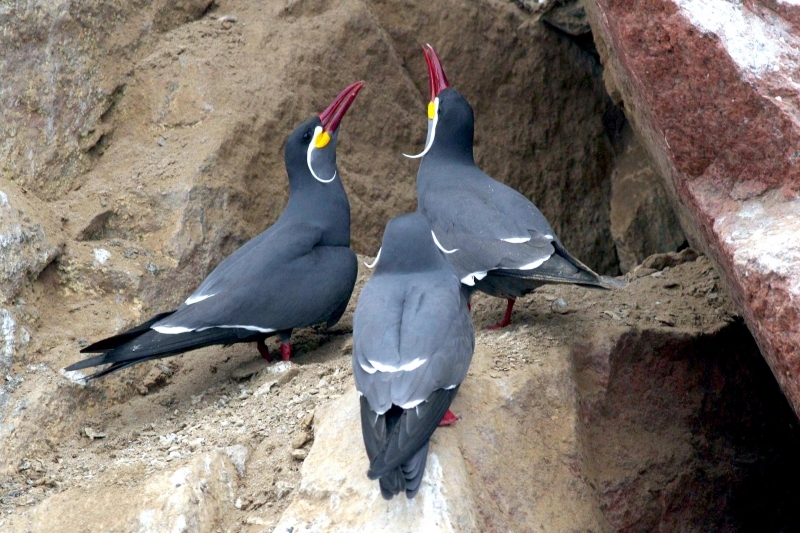 Both then choose the nest-site in sheltered areas and the pair often returns to the same nest-site year after year. 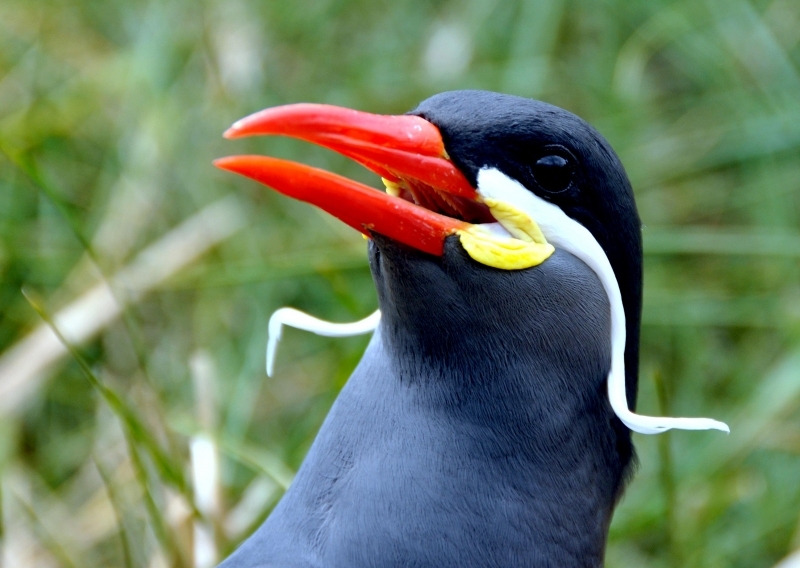 Inca Tern is resident in its range. 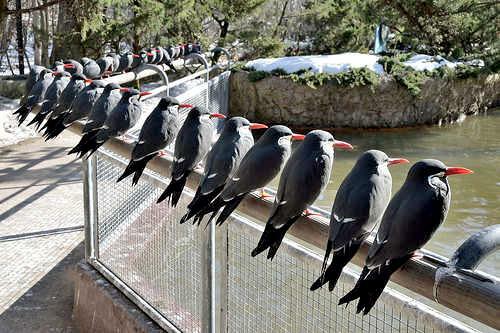 Only the non-breeding birds may move according to the food resources. 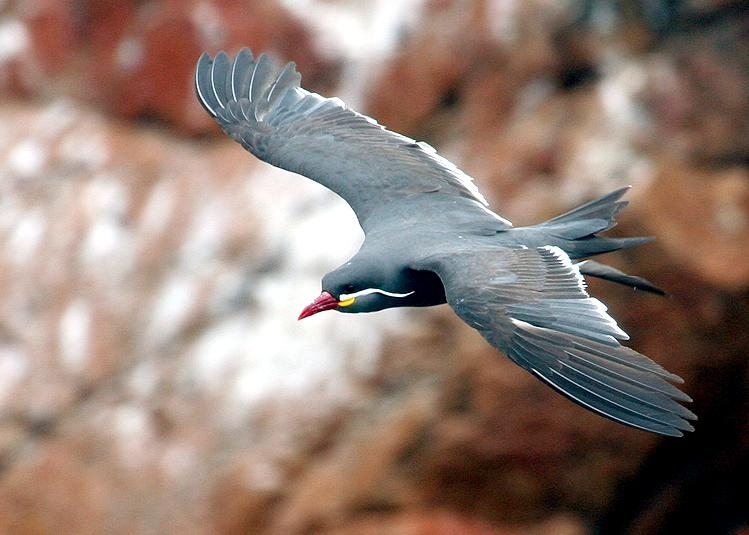 The Inca Tern has a graceful flight. 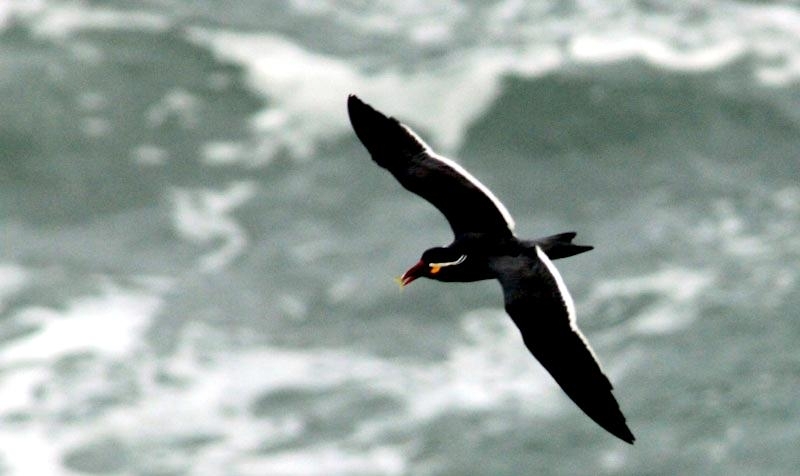 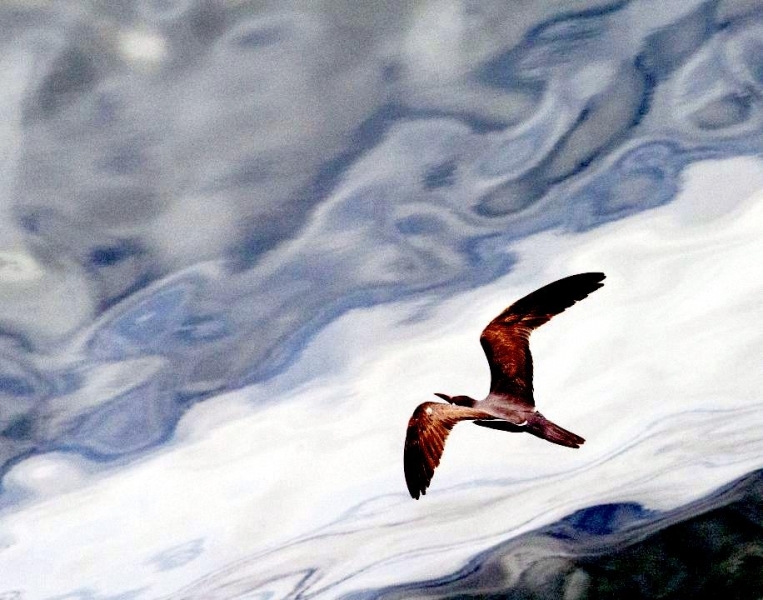 It soars above the water and dives into the sea for preys. 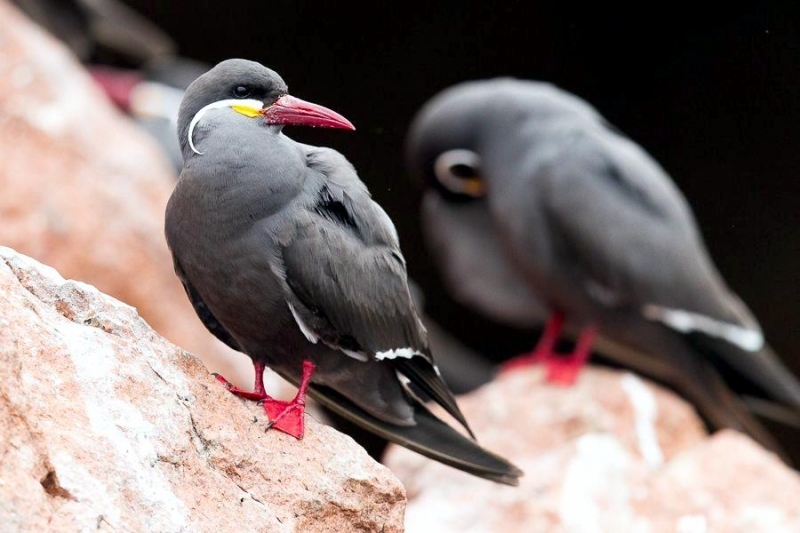 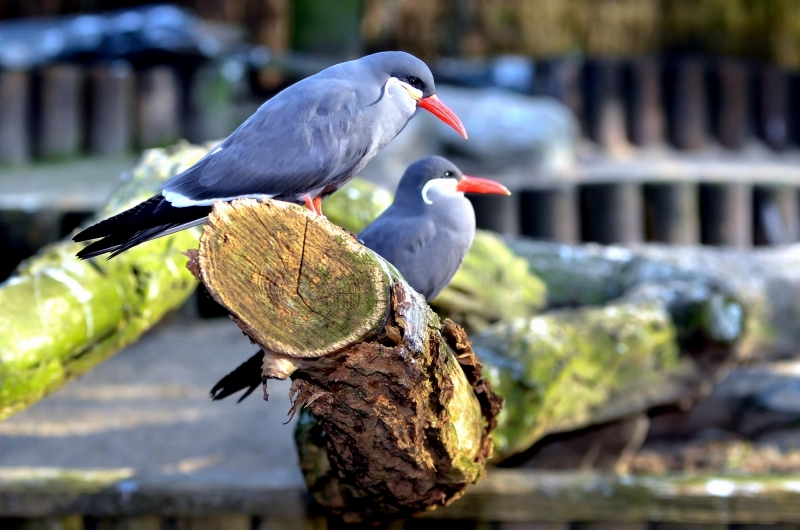 Inca Terns breed twice a year, between April & July and between October & December. 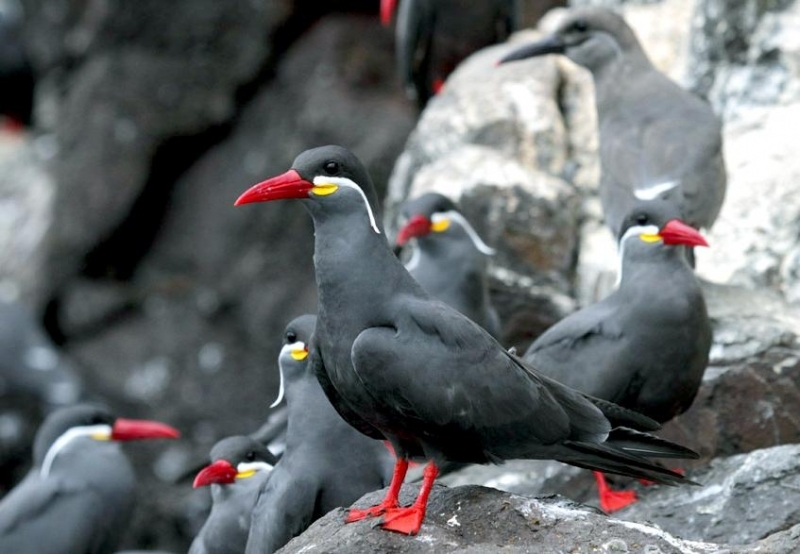 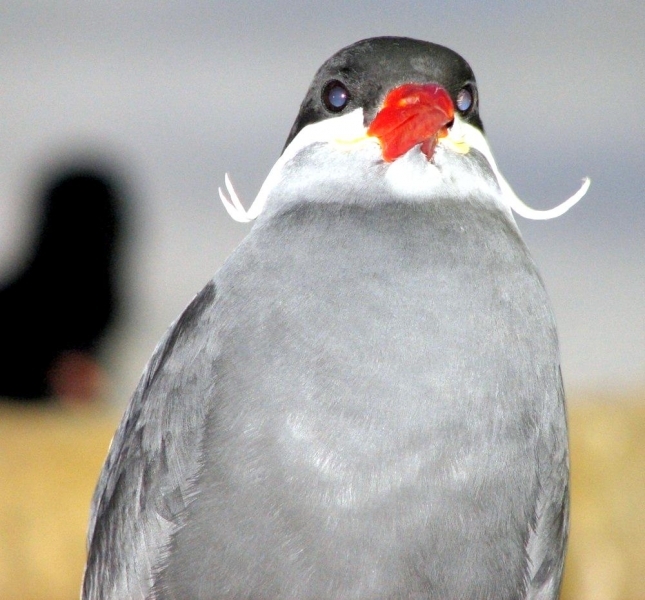 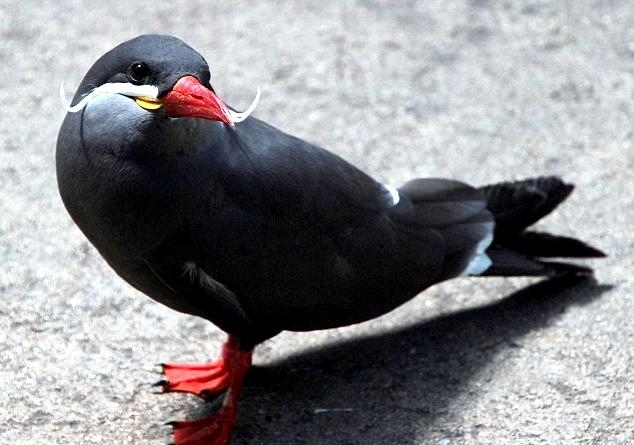 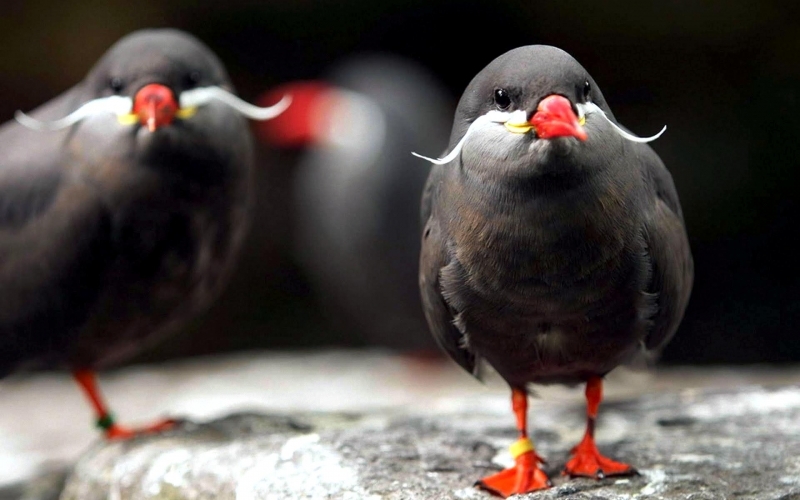 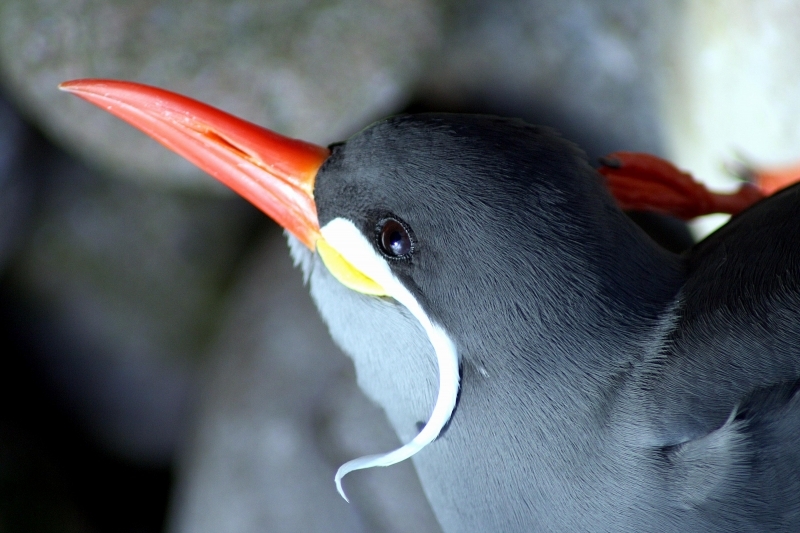 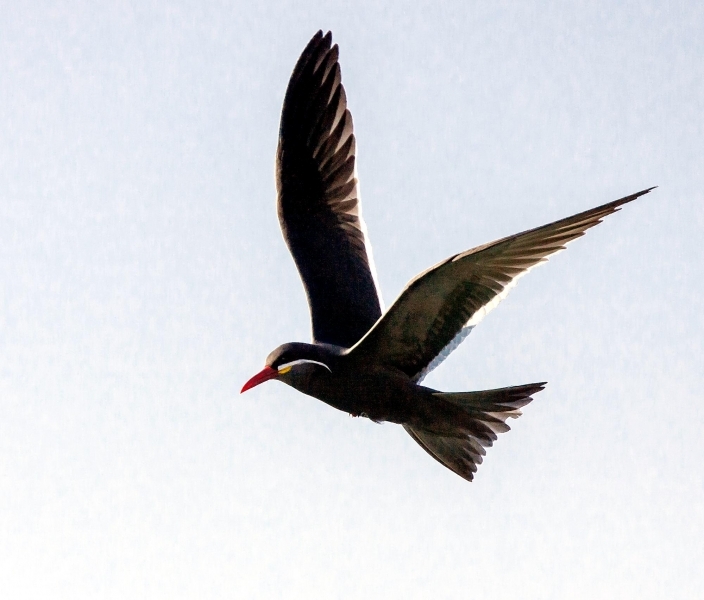 The Inca Tern nests on sandy beaches or guano islands. 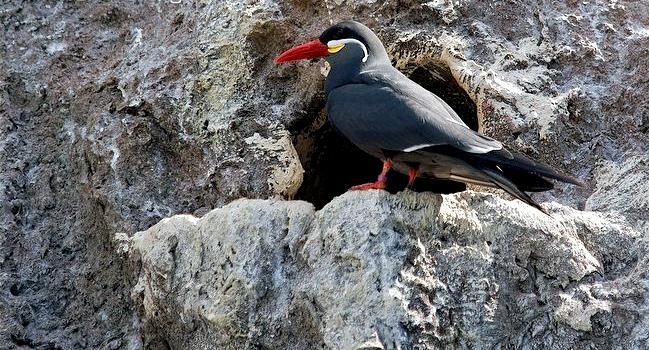 This tern nests mainly in crevices, fissures, burrows, holes in rocks, at base of rocky cliffs and boulders in abandoned seabird burrows and even on ledges of human structures. 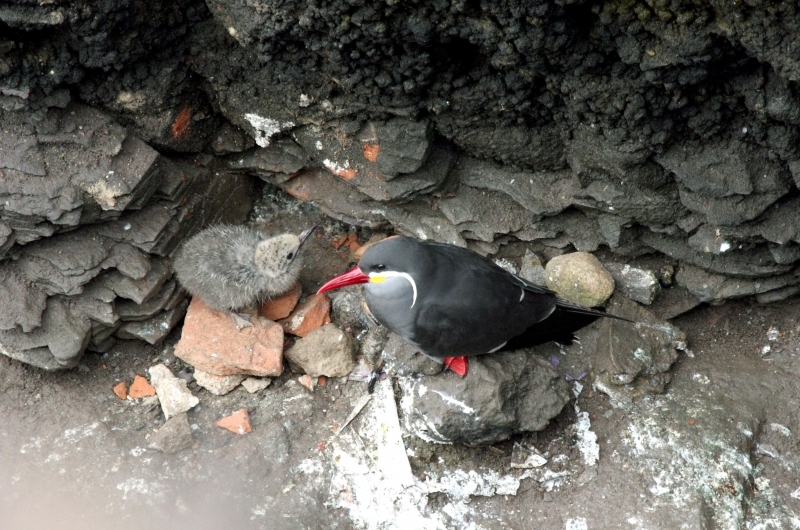 An Inca Tern chooses deep crevices in rocks where there are numerous cavities and good protection by cliffs. 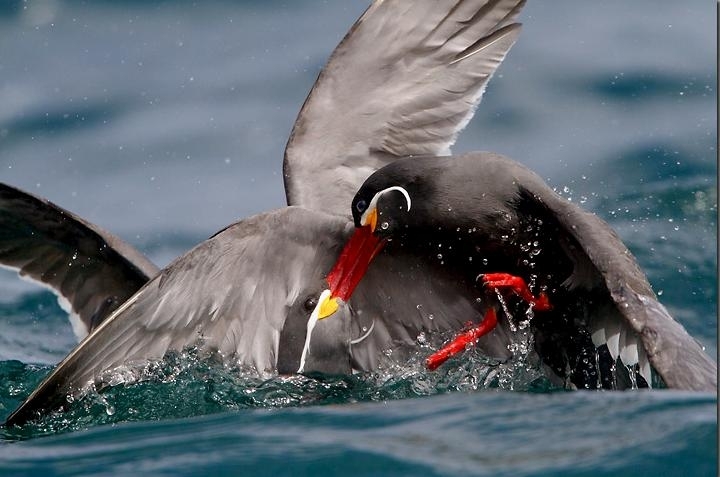 The chicks which hatch in deep holes are protected for longer time from predators, whereas the nests distant from the cliffs are more exposed to predation by raptors and larger seabirds. 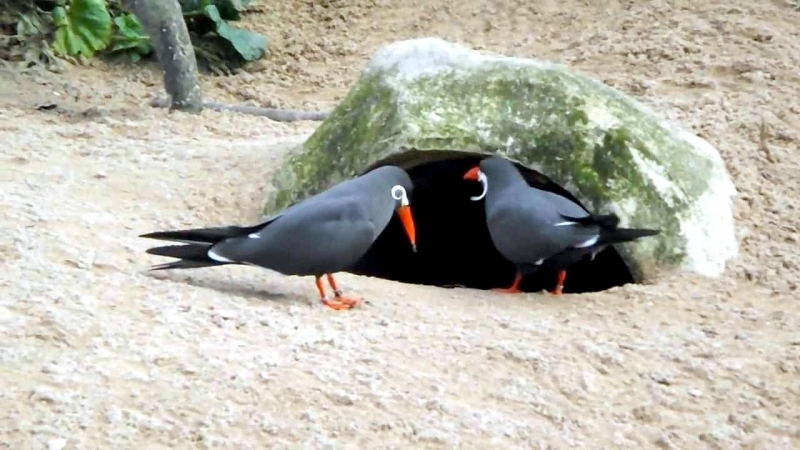 Female lays 1-3 eggs. 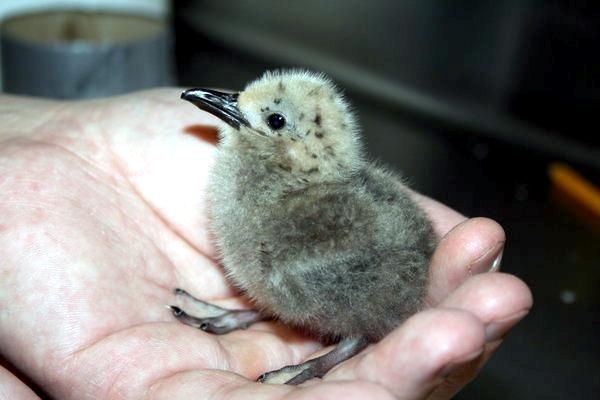 Incubation lasts about 3-4 weeks. 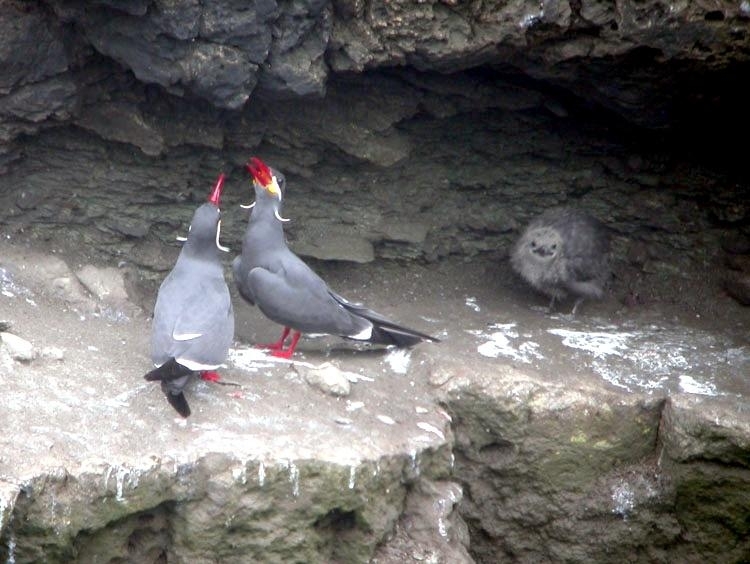 Both parents incubate & feed the grayish chicks. 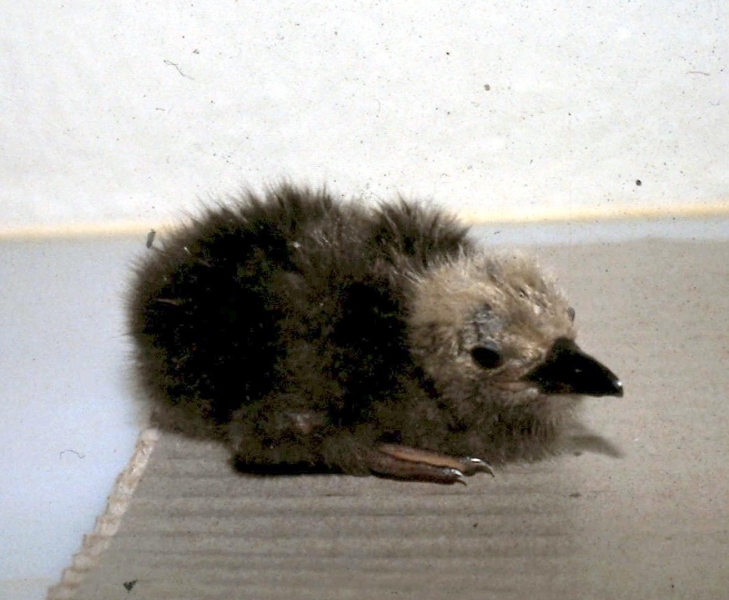 The young fledge about 4 weeks after hatching and reach their independence one month later.